This article contains directions for importing data from the Affectiva Q Sensor which collects 3-axis accelerometry, skin temperature, and skin conductance. 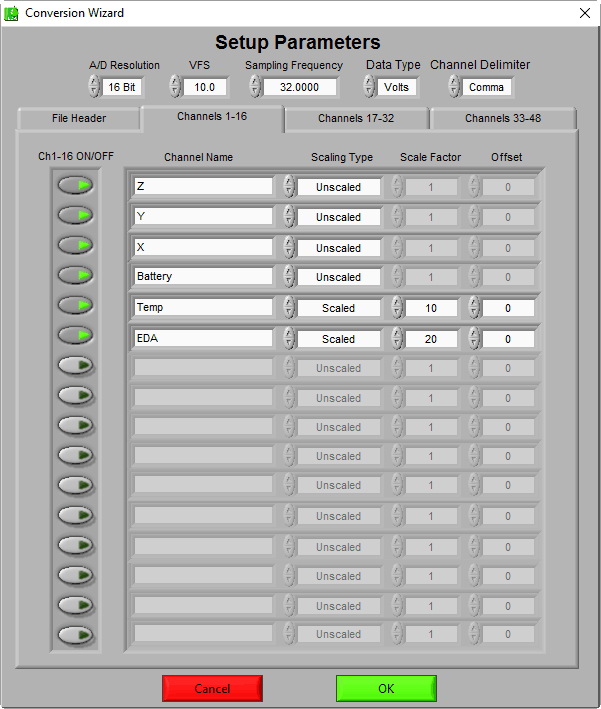 The data from the Q Sensor is stored in a .csv file and can be converted to a MindWare (.mw) file using the ASCII-MW converter, a tool available in all MindWare analysis applications and BioLab. First, launch the ASCII-MW converter and select the file containing the Q Sensor data. Press OK to complete the conversion. 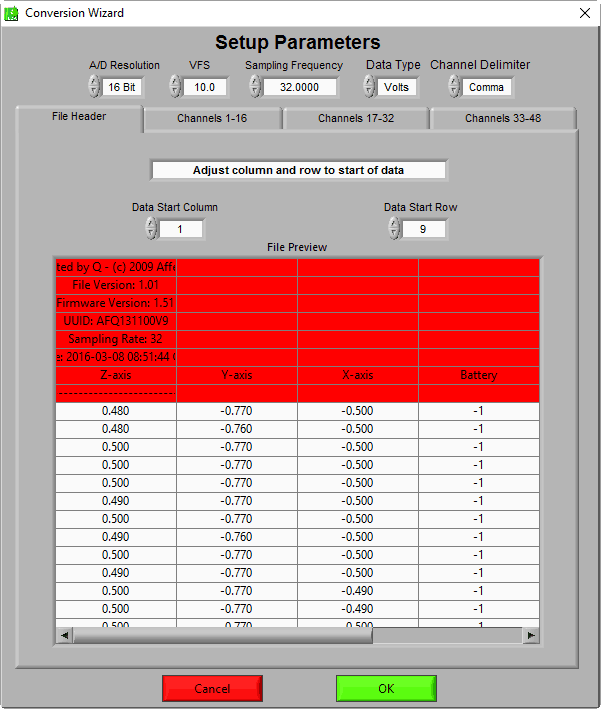 You will need to re-apply the scaling in the analysis applications to view the data in proper units. 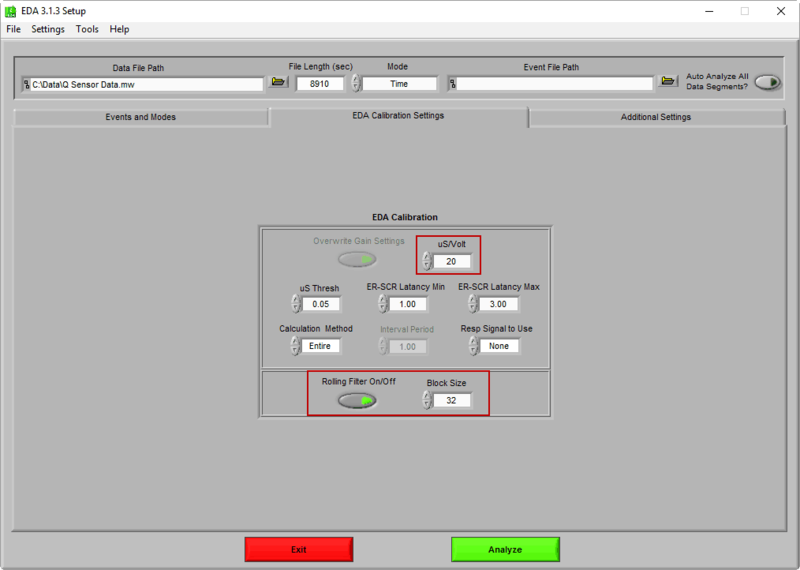 For example, in the EDA analysis application, you will need to set the uS/volt setting to the scale factor of 20 used in the ASCII-MW converter. Also, since the sample rate is 32 Hz, be sure to set the Block Size on the Rolling Filter to an appropriate value (when applicable).